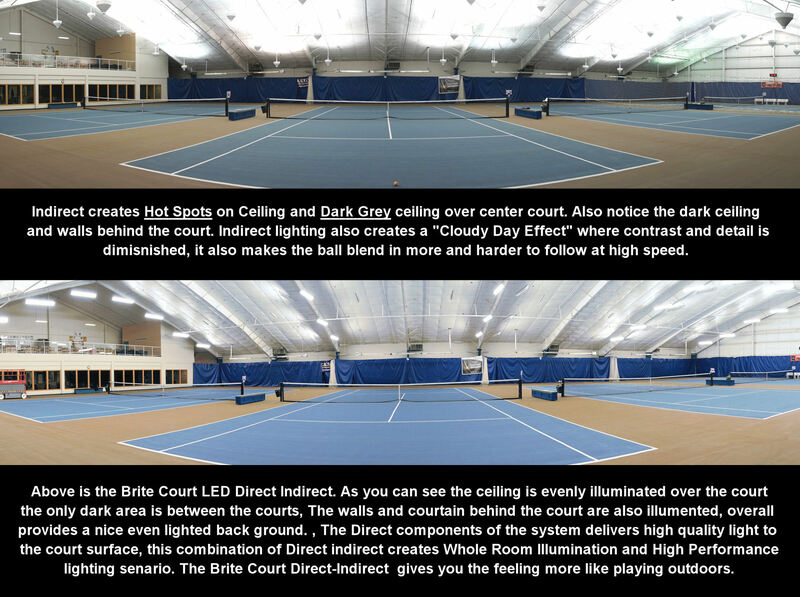 Brite Court Direct-Indirect tennis lighting systems are watt for watt the most efficient and highest performance tennis lighting available today. 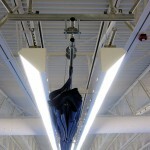 With 35%-40% indirect (Uplight) this makes for whole room illumination. 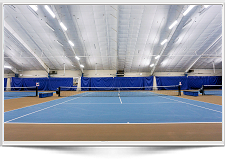 In the pictures above and the videos below pay special attention to how well the ceiling, floor and walls are all evenly illuminated. 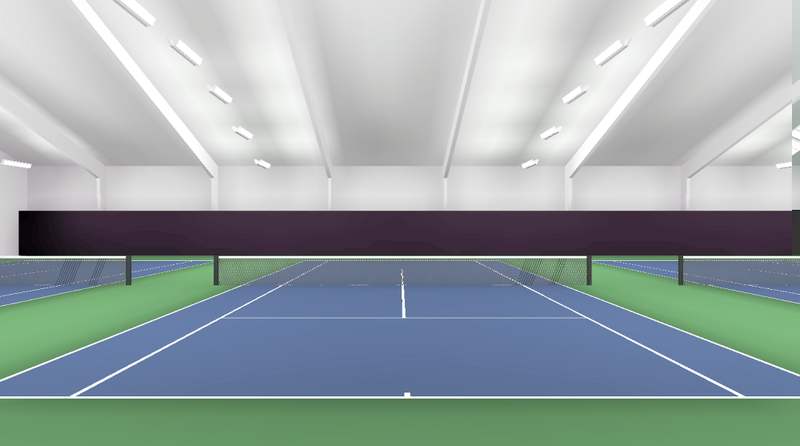 If the entire room is illuminated that means the ball is illuminated throughout its flight. 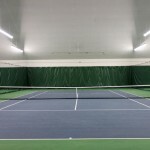 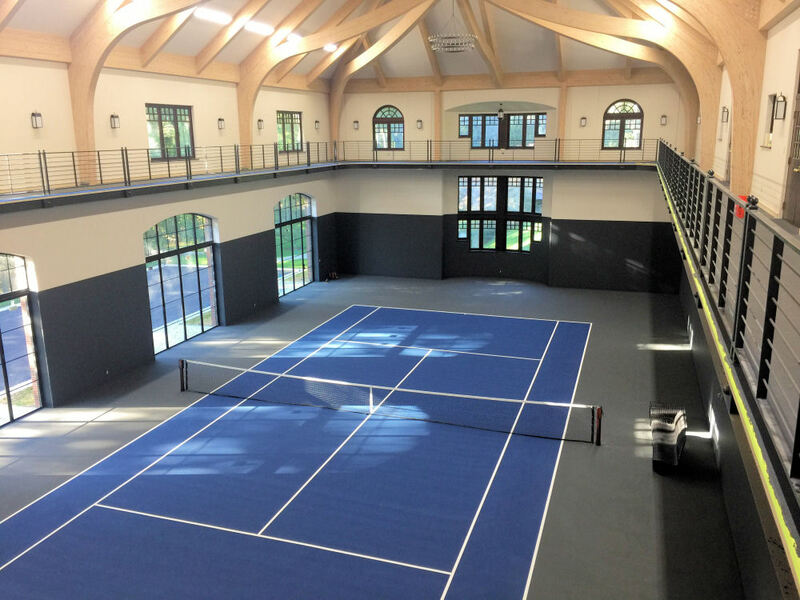 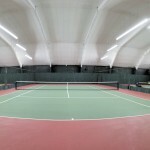 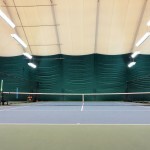 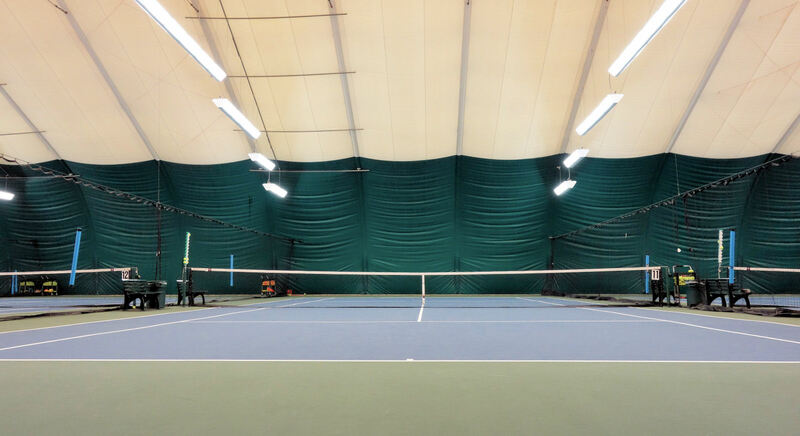 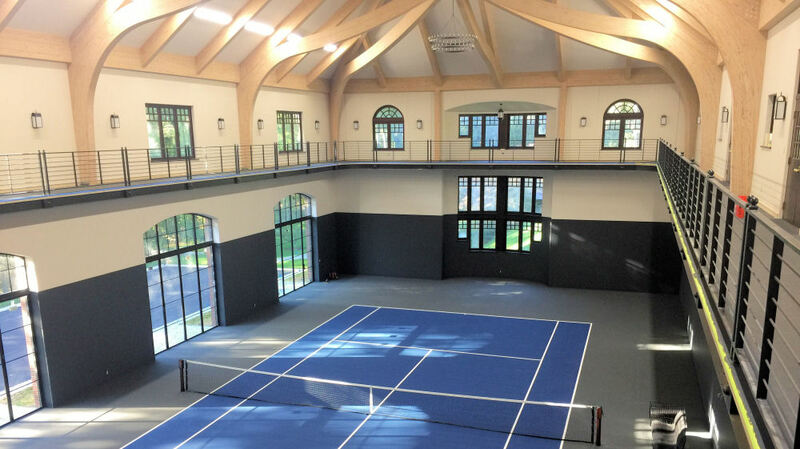 The American Sports Builders Assoc publishes the Lighting Standards for Tennis, read what the ASBA and USTA suggest about the different indoor tennis lighting options. 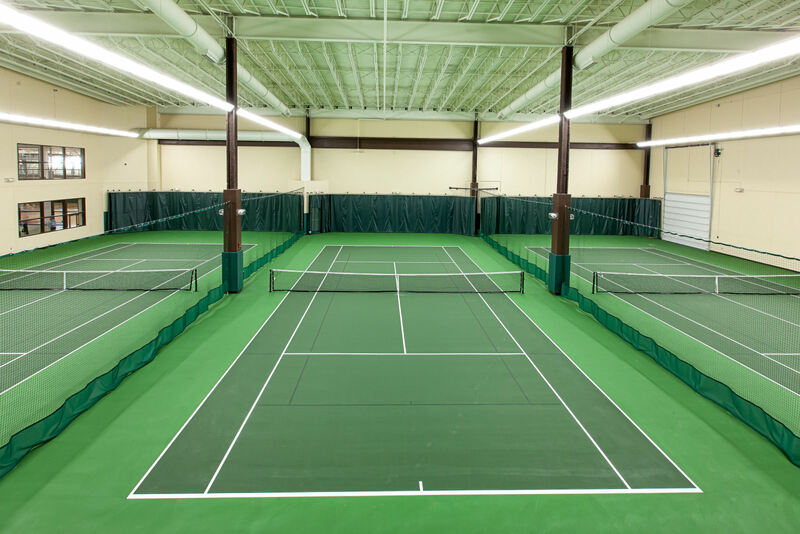 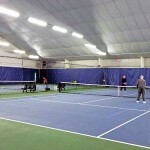 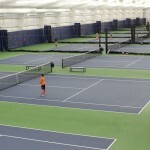 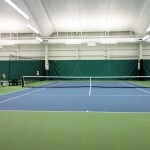 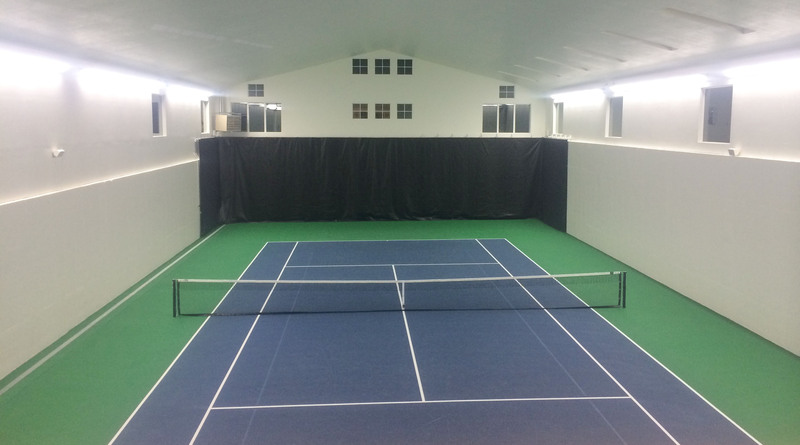 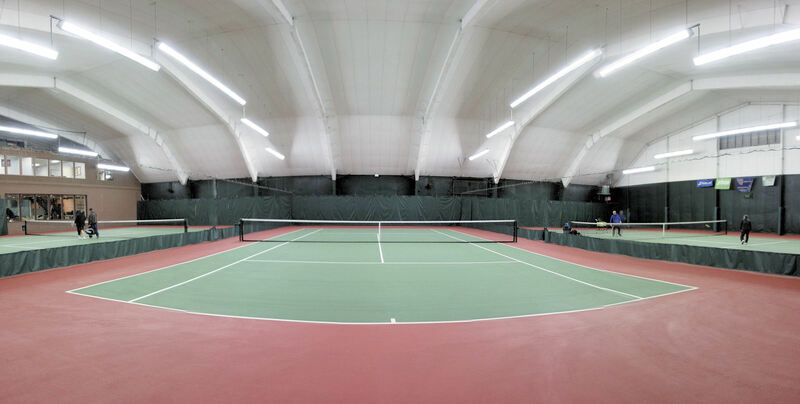 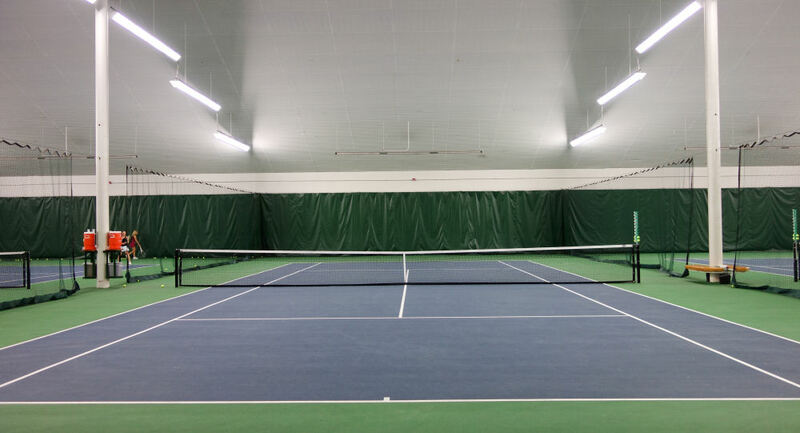 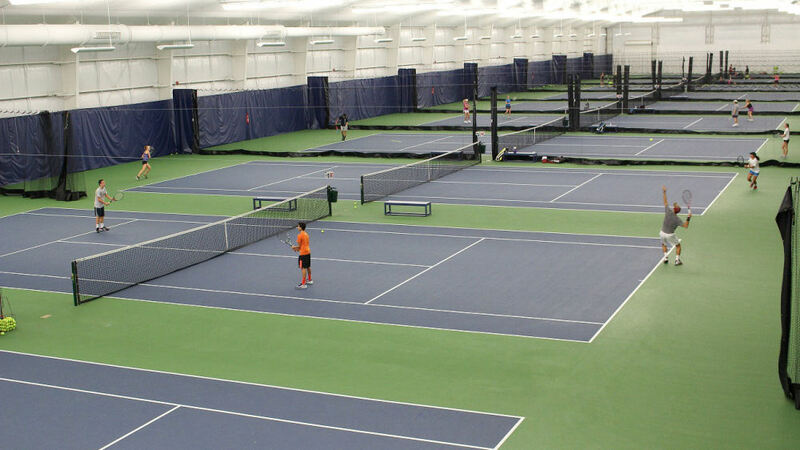 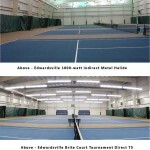 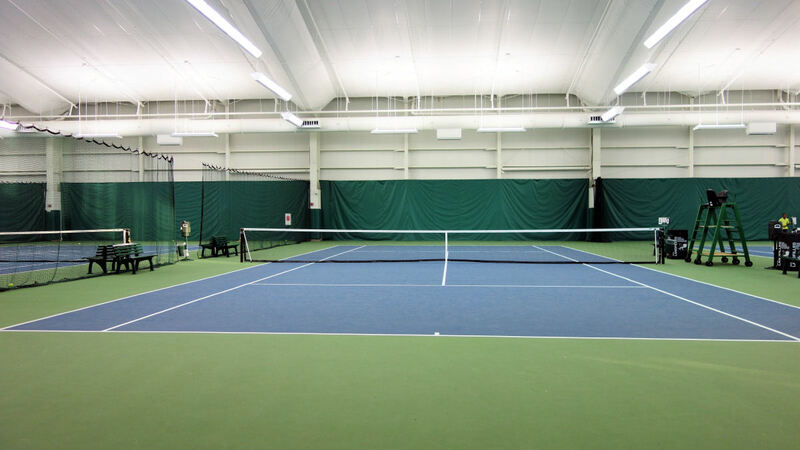 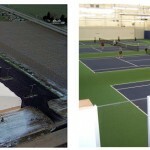 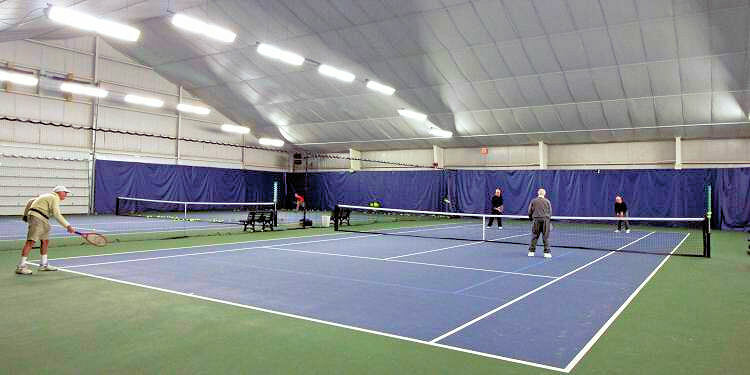 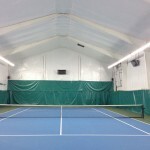 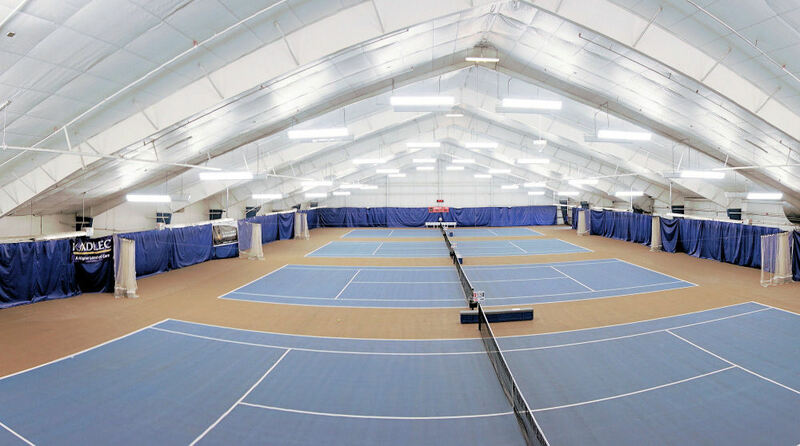 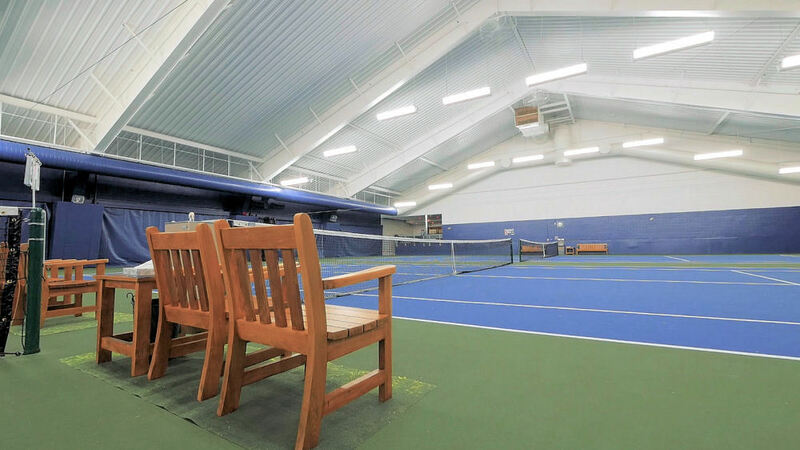 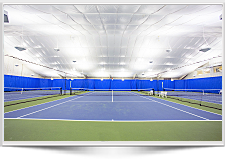 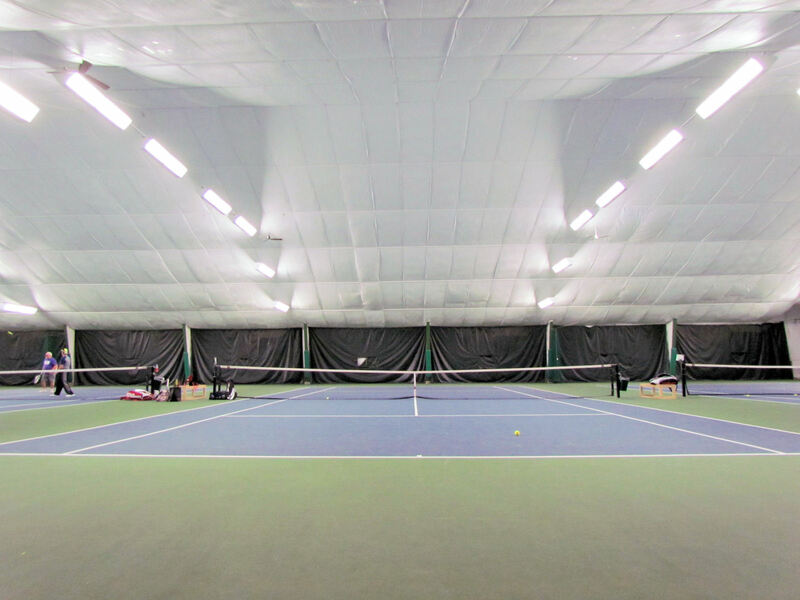 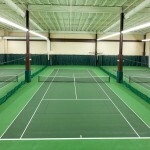 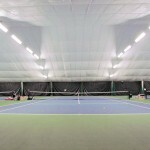 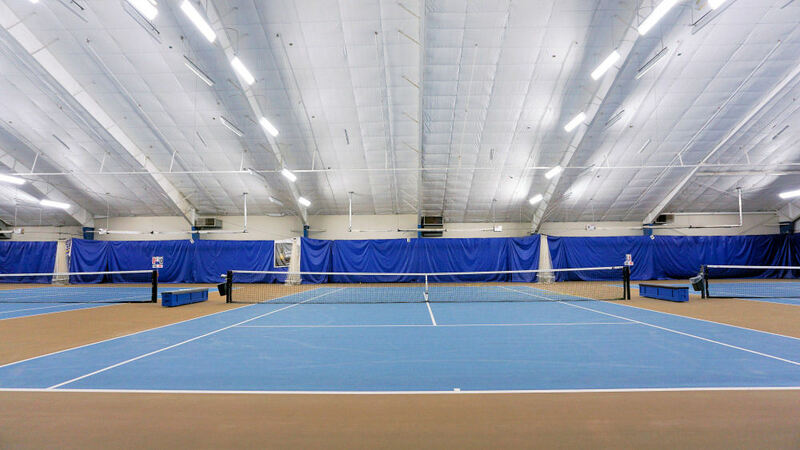 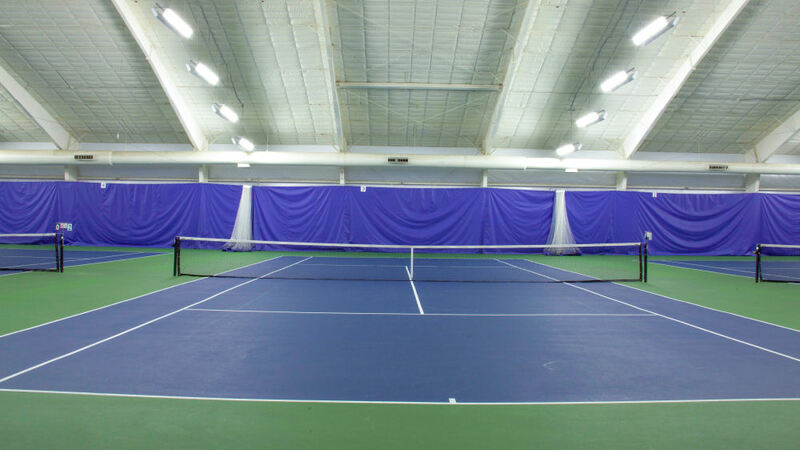 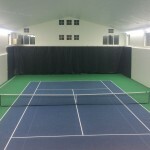 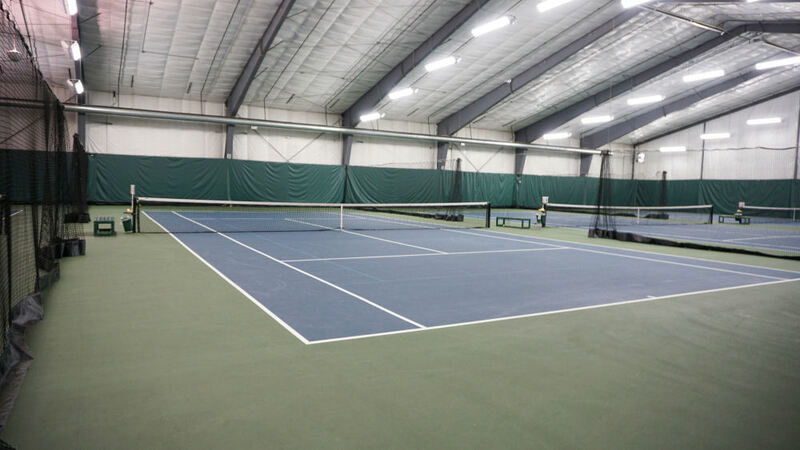 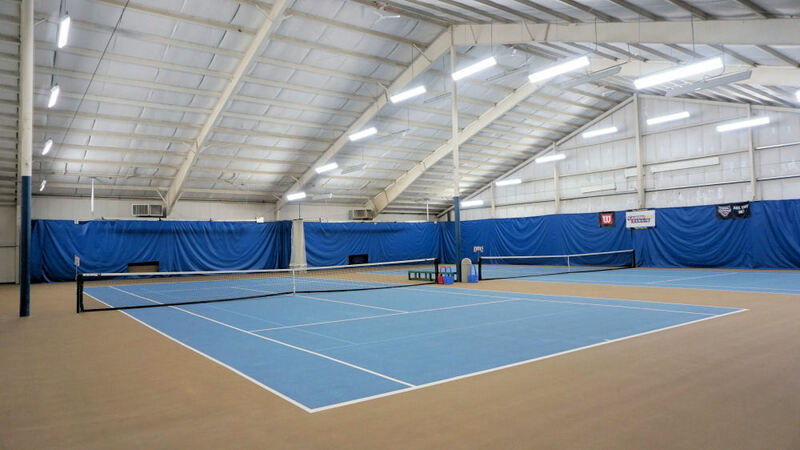 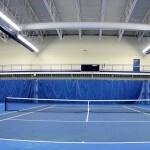 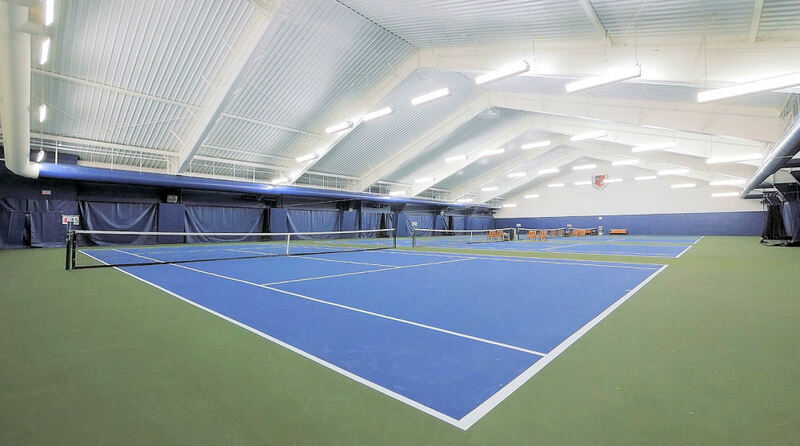 Click here to read the published ASBA-USTA lighting options and recommendations for indoor courts. 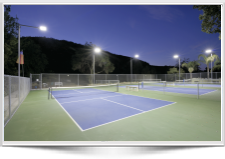 All of Brite Court Sports and Tennis Lighting fixture are designed and engineered specifically for the individual sports application to deliver superior performance while delivering the latest lamp technologies. 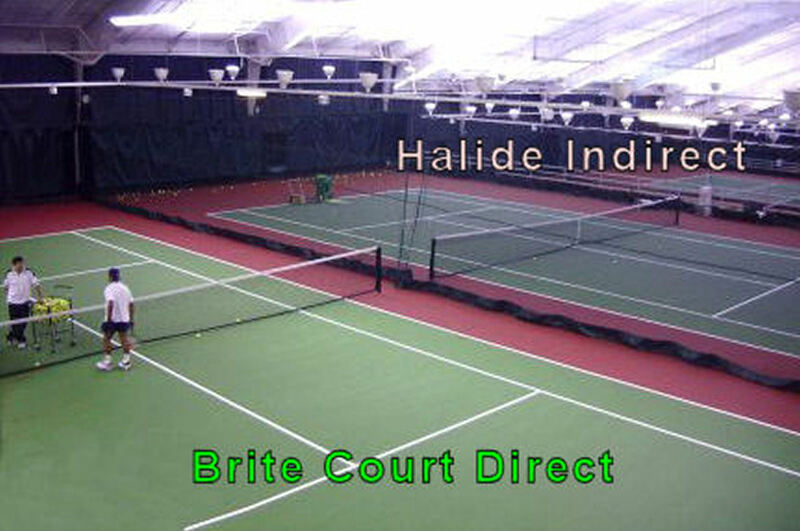 Brite Court Direct-Indirect lighting systems can be designed to deliver light levels from Professional 100+ foot-candles to recreational 40-50 foot-candles. 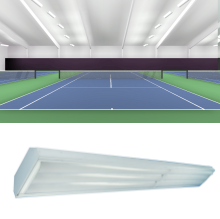 Unlike other so called tennis lighting suppliers who likely offers a one fixture fits all (warehouse/office fixture) solution, with more than 12 different fixture designs exclusively for tennis, we are the only supplier that can offer you a full range of solutions regardless of your lighting requirement. 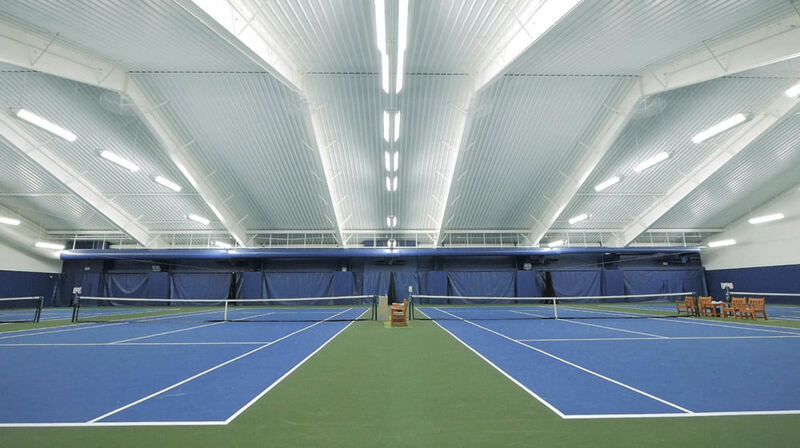 Having designed tennis lighting for 15 years we are the gold standards for tennis lighting solutions. 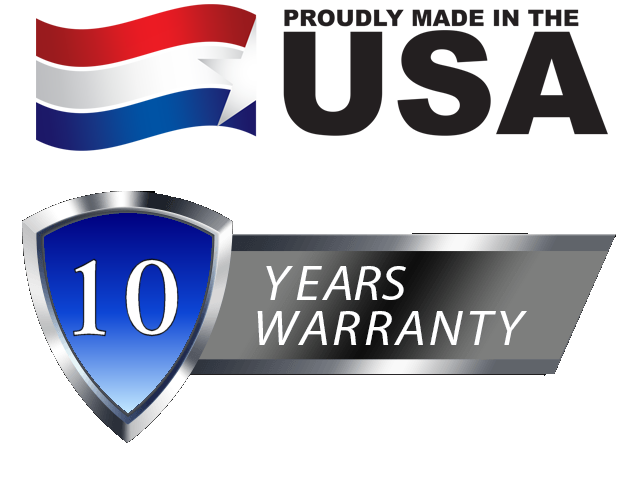 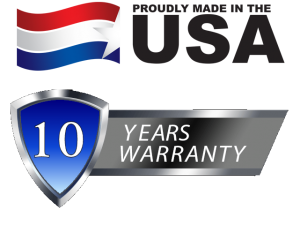 We are proud to offer American Made LED lighting backed by a 10 year warranty from a 24 year old Company. 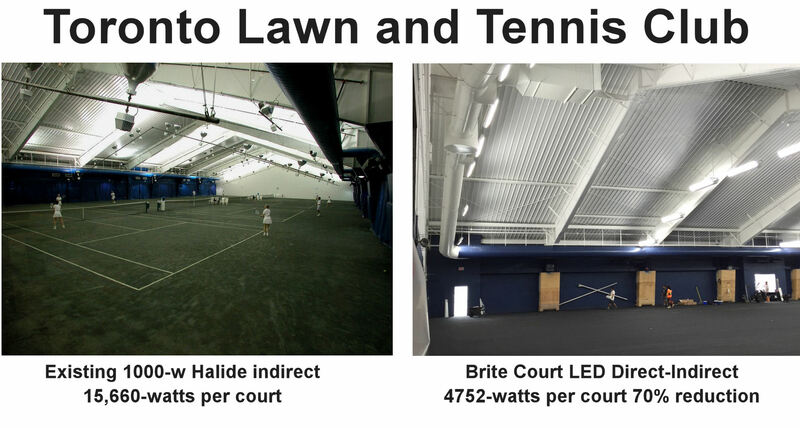 Above is the video of the new Brite Court LED Direct-Indirect lighting system at the Toronto lawn and tennis Club, previous lighting was 12 1000,watt metal halides per court (12,960-watts per court). 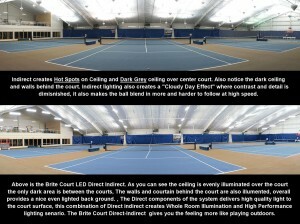 The new LED direct-Indirect system at 4752 watts per court delivers a savings of 64%. 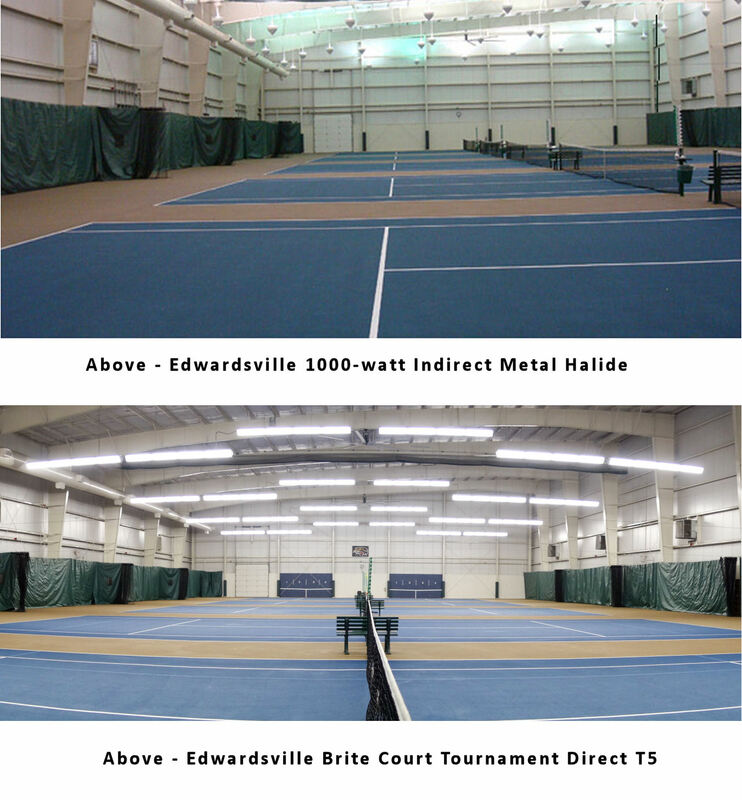 The New LED lighting offers 3 different levels Tournament-Recreational and Vacant. 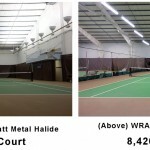 On a daily basis the club runs the lighting at the Recreational level of 3,168 watts per court which is a energy reductions of 76%. 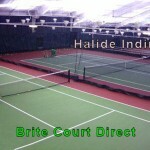 Click Here for the before picture with the halides. 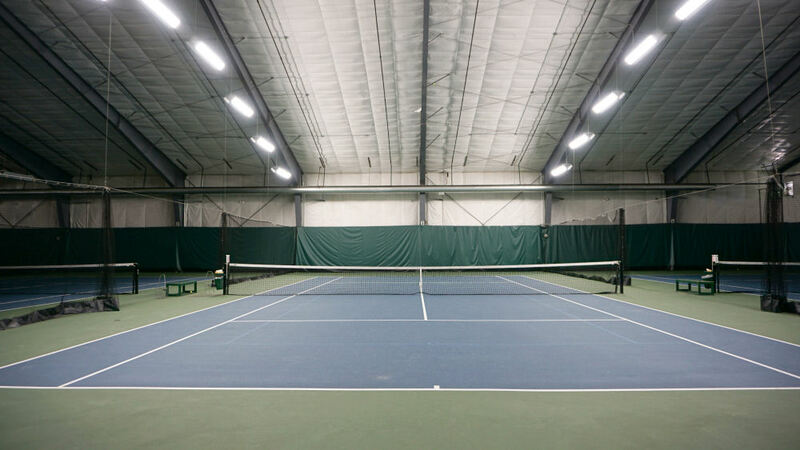 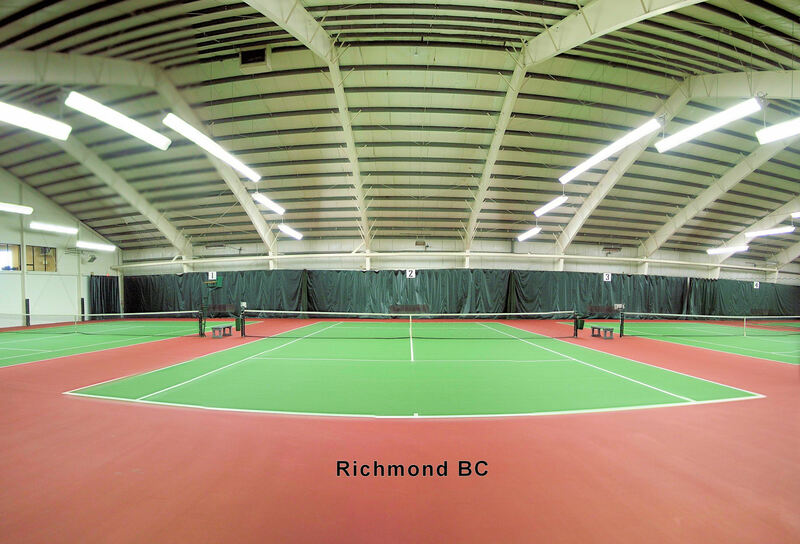 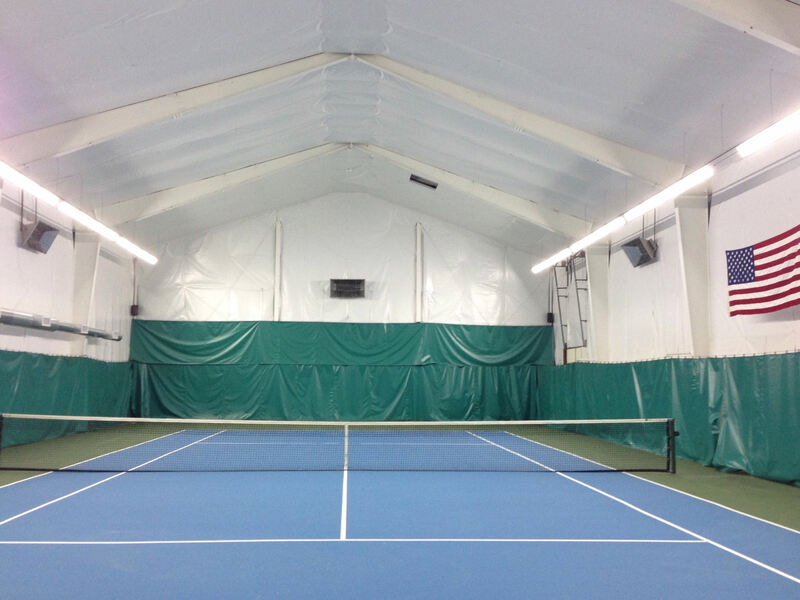 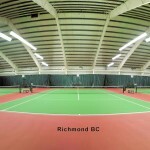 Above is a video of the LED Tennis lighting upgrade at Columbia Basin Racquet Club. 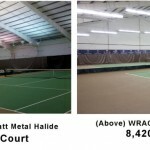 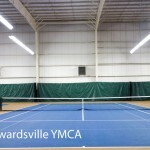 Their Metal Halide Indirect lighting at 15,120 watts per court only had average light levels of 66 foot-candles. 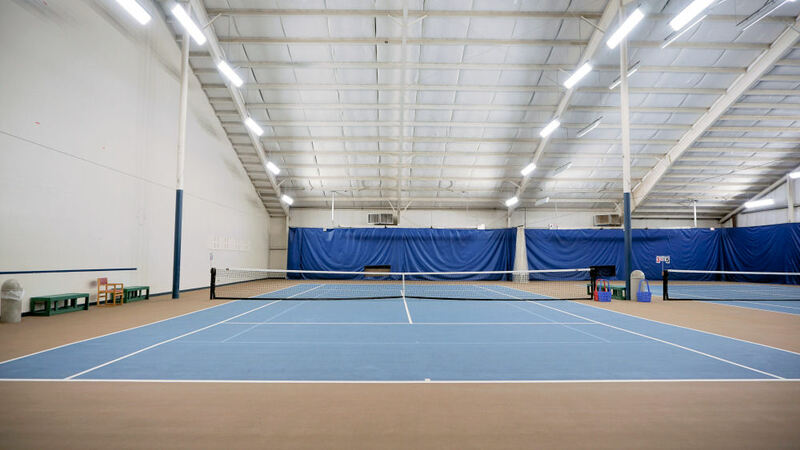 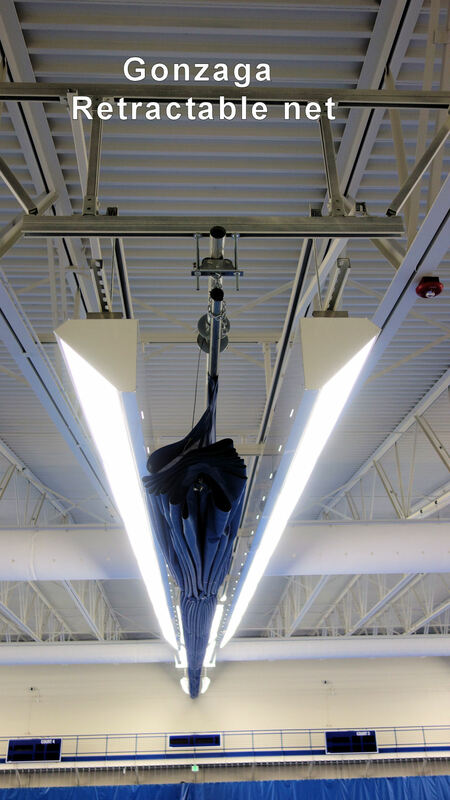 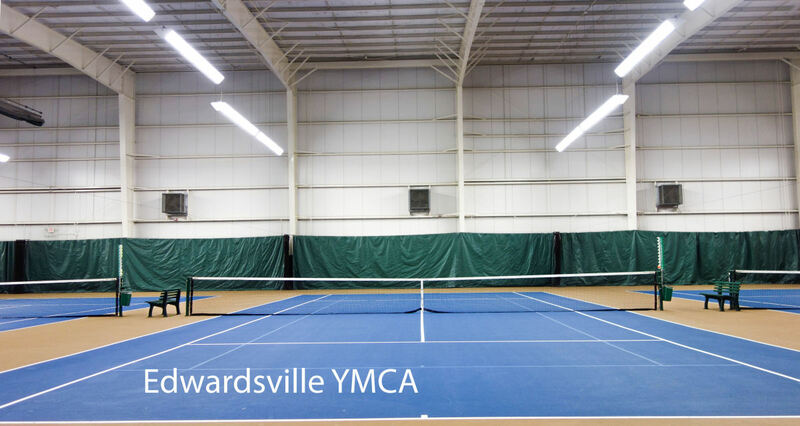 They replaced their indirect lighting with a new Brite Court LED Direct-Indirect system at only 4,752-watts per court resulting in average light levels of 88 footcandles. 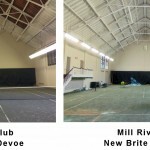 See Before and After Light Levels Here . 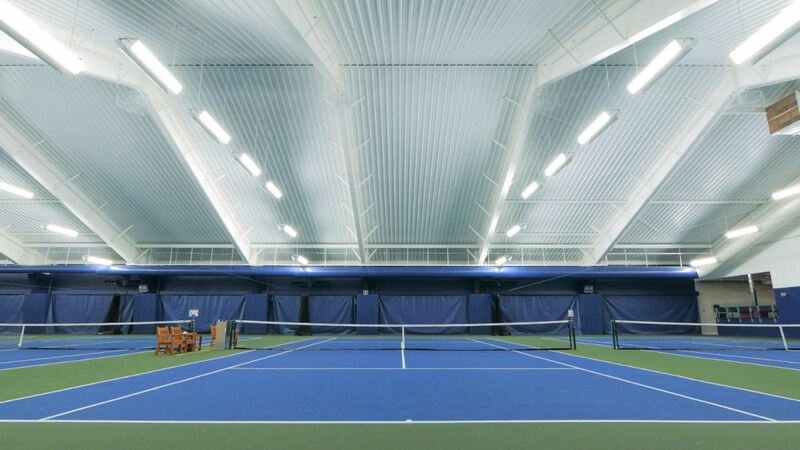 This is a Direct-Indirect lighting system using a proprietary triple dome lens that distributes light at 180 degrees illuminating floor to ceiling and wall to wall.